Shot in March 2011, the film captures the experiences of the Van Doos, the soldiers of the Royal 22e Régiment, during their tour of duty in Afghanistan. This rare footage, together with the soldiers' comments, conveys the complexity of the issues on the ground and sheds light on a little-known reality. 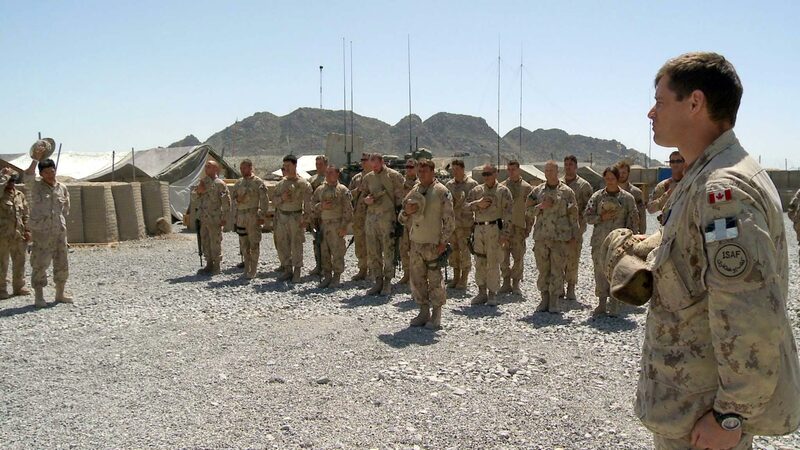 The Van Doos in Afghanistan is a feature-length documentary that propels you directly into the heart of the action among the soldiers serving with the Royal 22e Régiment. In this clip, we meet Corporal Maxime Émond-Pépin, who suffered a serious leg injury and lost an eye on his first mission in 2009. Despite his injuries, he rejoined his battalion in Afghanistan. He talks about how important it was for him to get back to the infantry.